Webb Floor Surfacing has been bringing a superior flooring finish to the residential and commercial sectors throughout Perth, for almost two decades. Established in 1995, Webb Floor Surfacing is a family operated business that is fully equipped and guarantees the latest techniques and advances in floor surfacing. Our high quality workmanship ensures aesthetically pleasing floors with beautiful finishes, and hard-wearing durability to withstand everyday use. 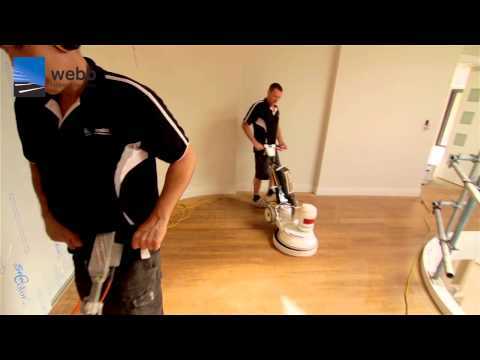 Webb Floor Surfacing has an extensive range of clients throughout and beyond the Perth Metropolitan area. Our services are contracted by home owners, business operators, schools, gymnasiums, shopping centres, recreation centres, professional offices and community halls. Our long list of clients, which includes a leading Coffee House chain, is an example of Webb Flooring’s reputation for reliable customer service and traditional business values. Prompt turnaround on all jobs, combined with unrivalled floor sanding and coating performance, are all part of the Webb Floor Surfacing service. Customer satisfaction is critical to the Webb Floor Surfacing operation, which is why our company employs highly skilled tradespeople with a broad range of experience in floor surfacing and finishing to ensure industry,and clients high expectations are met. Clearly this holds optimum value for both our clients and our business. Whether servicing residential or commercial customers, we know there can be a big difference between a finished floor – and a floor with a superior finish. Simply contact us and we will come to your home, business, or centre of activity, be it a school, gym, recreation centre or community hall. Contact us on 0400 895 393 during business hours.